What is the earliest-known herbivorous dinosaur? The earliest-known, plant-eating dinosaur was the Pisanosaurus mertii, found in the Ischigualasto formation of Argentina, South America. The dinosaur is dated at approximately 230 million years old (Late Triassic). And like its relatives Herrerasaurus ischigualastensis and Eoraptor lunensis, the Pisanosaurus was relatively small (around 3 feet [1 meter] in length), lightweight, and bipedal. 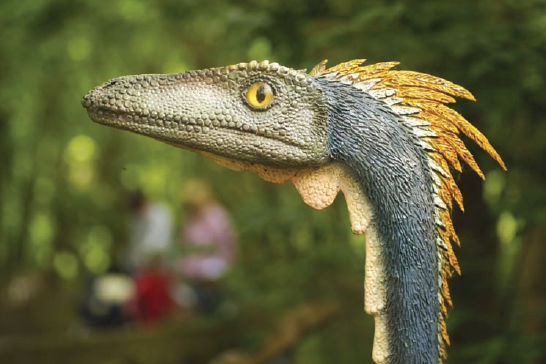 One of the first predatory dinosaurs, Coelophysis was the first animal to show herding behavior, according to some paleontologists (iStock).